The Backstay, an important element to a sailboat that is often overlooked. Here’s the scoop on how to best control your backstay from our friends at Ullman Sails. You’ve got to read this since they really know what they’re talking about. Whatever your rig configuration, you need to make your main flatter as the wind increases. Choppier water requires a bit fuller sail for a given wind strength. You should also mark all adjustments so you can consistently reproduce fast settings. Off the wind, the permanent backstay should be eased right off. The only exception to this is while you are power reaching – use about half of the full backstay tension to depower the sail and support the rig. In traditional masthead rigs with no running backstays, the permanent backstay controls both mastbend and headstay sag. 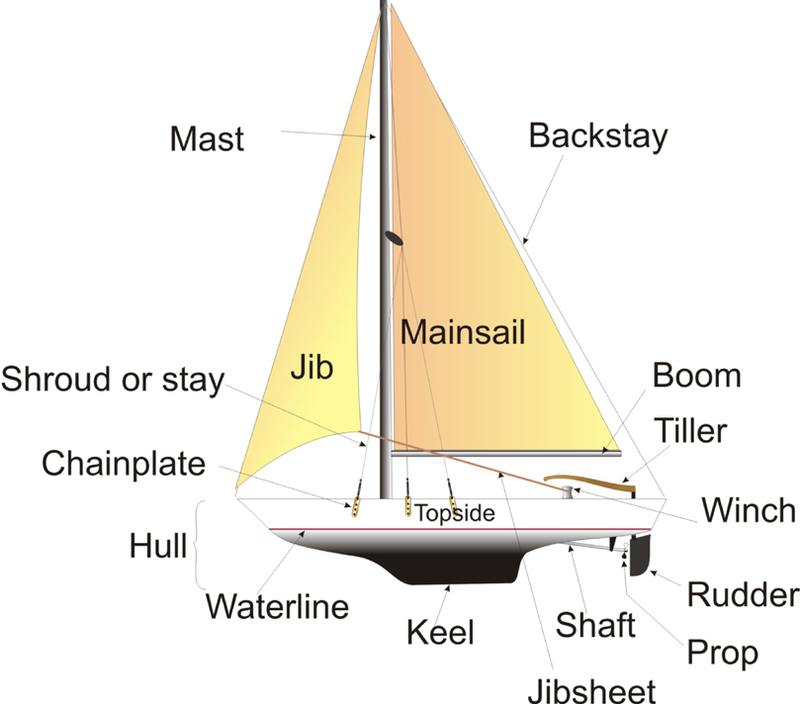 Mastbend is the primary adjuster of mainsail fullness. As wind increases, so should backstay tension. We strongly recommend that you have a powerful and easy way to adjust the backstay. For a masthead rig with running backstays, these ‘runners’ are used to control mastbend and also have an effect on headstay sag. At a given permanent backstay tension, more “runner” will straighten the mast (making the main fuller) and remove headstay sag. On a fractional rig, the permanent backstay controls mastbend, while the runner (attached at the hounds) controls the headstay sag. A fractional rig may also have a checkstay which controls lower mastbend similar to the way runners on a masthead rig work.